Speaker Type | Driver Size: Powered Full-Range / 2 x 15"
Powered Full-Range / 2 x 15" Powered Full-Range / 8"
Powered Horn Subwoofer / 18"
Powered Reflex Subwoofer / 18"
The single D.A.S. 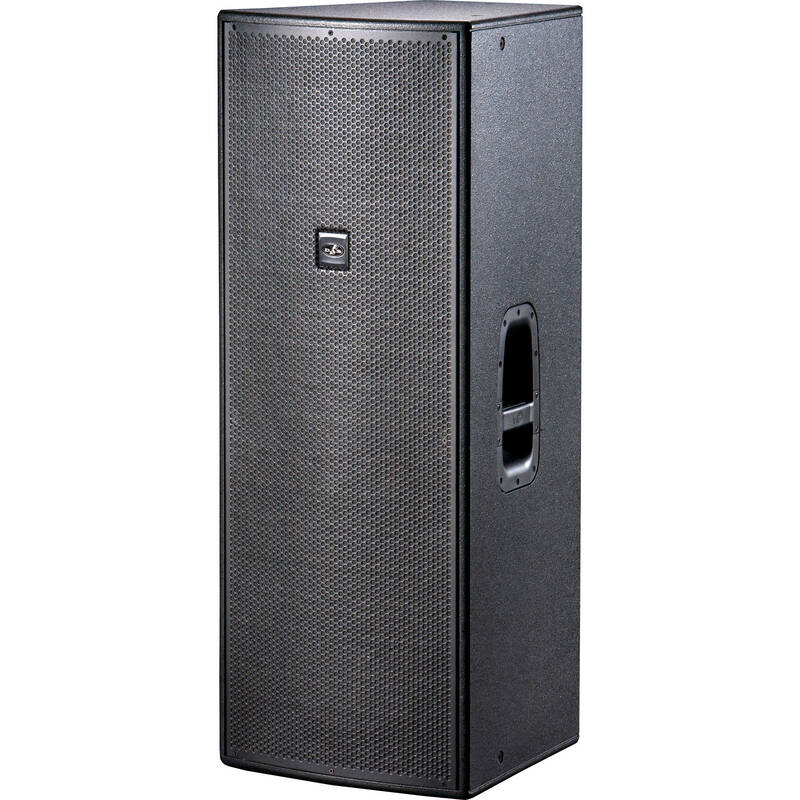 Action 215A is a powered, full-range, two-way loudspeaker designed for professional live sound reinforcement applications. The built-in Class-D amplifier provides up to 1000W peak output, which drives the two 15" woofers and 1" compression driver that combine to provide frequency response of 45 Hz to 20 kHz and a peak SPL output of 134 dB. The rear panel of the speaker offers a switchable mic/line level XLR input and an XLR loop-thru output for connecting additional powered speakers. Additionally, the boost EQ switch adds high & low frequencies to the signal, while the two on-board limiters protect the electronics and drivers from overload. The ISO-flex painted birch plywood enclosure features two bar handles for ease in transport, while the steel grille provides ample protection to the loudspeaker's drivers. The D.A.S. Action 215A ships with a power cord.